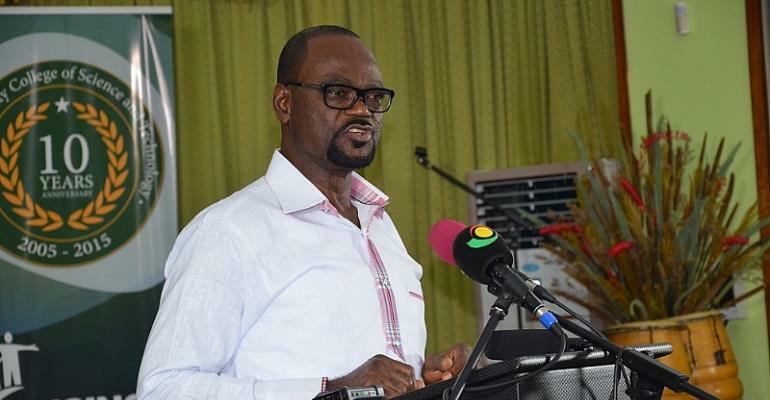 Chairman of the Normalization Committee, Dr Kofi Amoah has slammed controversial Ghanaian online portal Ghanasoccernet for their false publication against the Black Stars. On Tuesday, the online portal reported that the Black Stars have denied access to the Tang Palace Hotel in Accra. Ahead of Ghana's final Africa Cup of Nations qualifier against Kenya, the team will be lodging at the hotel before they host the Harambee Stars on Saturday at the Accra Sports Stadium. However, the successful business mogul has urged Ghanasoccernet to aid the Committee as they work to return football to its normalcy but not to sabotage them. "When the issue emerged, I spoke to the manageress of the hotel and she was really angry about the story but I calmed her down," he told Asempa FM. "Her reason was that the money have been paid and the necessary arrangements have been done so why should someone sit somewhere and put up an article that the players have been denied access to the hotel? "After talking to her, I spoke to Ghanasoccernet officials and I told them to pull the story down because it was not necessary to publish such a story because there was no iota of truth that publication. "Some of us contributed to the buildings of GIJ and fought for Criminal Libel Law in the country so for me, the Ghanaian media must be careful especially Ghanasoccernet because we all doing our best to aid in the betterment of Ghana football but if you try to pull us down then we will not go anywhere," he added.